The Crestwood Suites - Orlando UCF will make your stay more comfortable without stressing your wallet, giving you options that conventional hotels just do not offer: full-size, fully-equipped kitchens with refrigerator, stovetop and microwave in every suite. 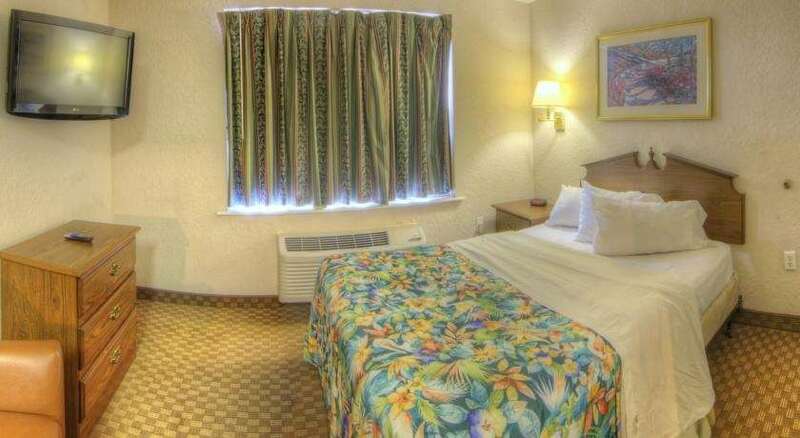 At Crestwood Suites - Orlando UCF you will enjoy premium cable TV while relaxing on your sofa. There is also a 24-hour on-site laundry facility and vending area for your convenience. Cancel by 4:00 PM on day of arrival local hotel time to avoid a 1 night(s) cancel penalty charge. - Orange County Convention Center.